With more than 130 Americans dying each day from an opioid-related drug overdose, according to the US Department of Health and Human Services, making naloxone readily available is one way to prevent death. But putting an over-the-counter, overdose-reversing drug into people’s hands won’t solve the epidemic that has gotten out of control in our nation. While this is an important step in the right direction, what will be more effective is stopping addiction before it starts – and policymakers aren’t the only ones who can enact change. HR professionals and employers – 39% of whom have dealt with employees taking prescription painkillers at work, and report related absenteeism, according to the National Safety Council – can be part of the solution. Value-based primary care is an alternative to the status quo, volume-centric care most employees get from their employer-provided health insurance plans. The latter kind of care operates under a fee-for-service payment model, meaning that for every test or scan a physician orders – regardless of whether it is needed – providers make money. Not only do these procedures add up to a lot of squandered dollars, they tend to also require follow-up appointments, which cost even more money and congest waiting rooms. Most patients can’t make same-day appointments in these settings, and when they finally are able to see a doctor, those appointments are usually brief, chiefly because physicians spend twice as much time on paperwork as they do interacting with the patient. Because they’re pressed for time during appointments, many physicians will look to find quick fixes that make patients “happy” and get them out the door. Most physicians are writing excessive prescriptions – a JAMA surgery study found that most surgical patients only used 27% of the pills they were given. But the more pills they were prescribed, the more they would use, contributing to the potential for them to become addicted. And chances are, they will, with one in seven Americans facing a substance abuse disorder. Lower back pain is an especially common problem – the National Institute of Neurological Disorders and Stroke reports that 80% of adults will experience it at some point – and the reason behind a multitude of opioid prescriptions for drugs like hydrocodone, oxycodone, or morphine. Yet they are only marginally better than placebos, and they aren’t effective in treating the root cause of pain. For example, if someone is repeatedly lifting heavy objects at work in the wrong way, opioids won’t show them how to do so correctly. The pain will keep coming back. And even if patients insist that they don’t want opioids, many physicians still push them – one woman’s post-surgery experience shows how she told doctors time and again that she did not want opioid painkillers after stomach surgery because she had a bad reaction to them previously, and yet she was administered an opioid drug through an IV and given a prescription for 40 codeine pills. By comparison, value-based primary care centers are rewarded for the quality of patient outcomes instead of the quantity of procedures ordered. As a result, physicians are incentivized to spend more time with patients, talking through what lifestyle factors could be causing their pain. Perhaps they have a poor diet and exercise routine, sit too much, or are an athlete that needs to rest instead of push through the pain. This kind of information can inform a pill-free course of treatment, like going to physical therapy or stretching more. Further, some innovative employers have identified centers of excellence – providers, like Mayo Clinic, recognized for superior outcomes – that they prefer to send their employees to. The Surgery Center of Oklahoma is another healthcare innovator, and its founder, Dr. Ken Smith, incentivizes surgeons by paying them more than most insurers would. Dr. Smith is able to do this because he posts his cash prices – what people pay if they don’t have insurance – online, and when he finds out about an opportunity to save money, he lowers prices so patients pay less and the center becomes more competitive. Value-based care and centers of excellence are better options for employee health, positive patient outcomes and employer pockets due to fewer tests, visits, prescriptions and complications. Considering the National Safety Council’s finding that 70% of employers are impacted by prescription drugs, now is the time for employers and HR pros to design self-insured health plans – where the employer pays for employees’ medical expenses – that provide value-based primary care. The first step is to find a transparent benefits advisor who is willing to share the commissions and bonuses they receive – and disclose if a majority of those financial incentives come from only one insurance carrier – plus meet early and often to discuss options. Then, employers should pay a carrier-independent, third-party administrator (TPA) a monthly fee to process claims and perform administrative tasks, plus purchase stop-loss insurance to cover large claims that exceed the amount an employer has set aside. Employers will have access to their own claims data in this way – helping them make informed decisions about employee health needs – and save money by not having to pay for poor, expensive care or deal with annual insurance premium increases of 5-20%. Once the plan is in place, it is essential for HR pros to provide print and online materials so that employees have 24-hour access to the information. A plan cannot be effective if its users don’t know or understand what is available to them, and how to participate to the fullest extent. Holding informative presentations and workshops that discuss what kind of care the plan covers is also key, as is showing employees why these changes were made and how they will improve their health and well-being. 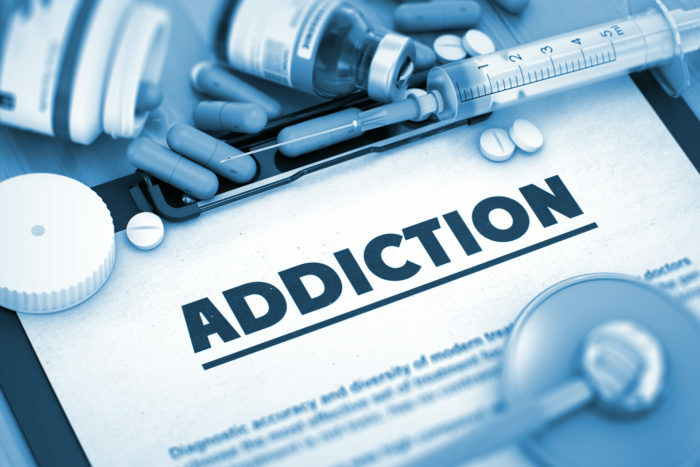 Going over the signs of opioid abuse, signs of an overdose and counseling programs could also be beneficial whether businesses have already observed addictions’ effects, or are taking a more preventative approach. The opioid crisis is an unfortunate side-effect of the US health care system. Employers can lead the charge, joining the rising DIY revolution by creating self-insured plans that give their employees access to truly effective, value-based primary care and eliminate the overflow of opioids plaguing our nation.